The Bridgestone World Solar Challenge took place at the beginning of October, and the achieved result for the BELGIAN TEAM has been outstanding. Not only by the Punch Powertrain Solar Team’s fantastic 3rd place in the Challenger Class, but also by the very successful daily live talk-show that was jointly produced in the absolute middle of nowhere. As the sun set in Adelaide, Australia, on October 12, the Punch Powertrain Solar Team celebrated its well-deserved third place in the Challenger Class of the 2017 Bridgestone World Solar Challenge. Over five days, the carefully crafted Belgian solar car made its way across 3,021 kilometres of Australian outback, negotiating traffic lights and road trains, and enduring challenging temperatures and wind gusts, while successfully harnessing solar power to maintain an impressive average speed of 76.2 km/h throughout the race. The single track between Darwin and Adelaide was once only crossed by kangaroos – hardly the audience the Belgian Solar Team was after. However, thanks to an innovative collaboration with VRT Sandbox and its project partners Newtec, Network Innovations, Pacific Live Media and Agoria, this year’s challenge took on a whole new dimension. 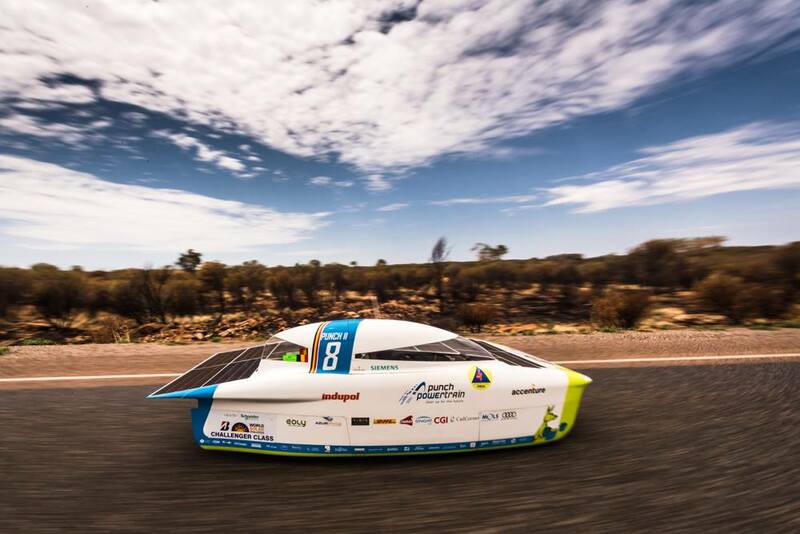 For the first time, the Punch Powertrain Solar Team was able to provide daily live updates on their progress of the race straight from the Australian outback. Each day when the sun went down, the solar powered car was forced to stop and that’s where the Solar team would make camp. A dedicated group inside the team of students would manage the production of the talk-show, set to go live at 19h30 local time or lunch time in Belgium. Through this live daily talk-show, with multicam video and beautiful drone footage shot during the race, the team could share in real-time their adventure with fans on the other side of the world. This live talk-show was completely produced by the students of the Solar team themselves, with no prior TV production experience and broadcasted on Facebook Live, thanks to an Internet over Satellite solution provided by the technological partners in this collaboration. The power of Internet over Satellite combined with the use of compact and comprehensive multicam production tools allowed the Punch Powertrain Solar Team to stream updates to the world stage in a way that had not been possible previously. By using Facebook as a medium, this impressive feat of engineering has been revealed to the world in an exciting and engaging way, bringing science, technology, sustainability and co-creation to a whole new group of people on a global level.